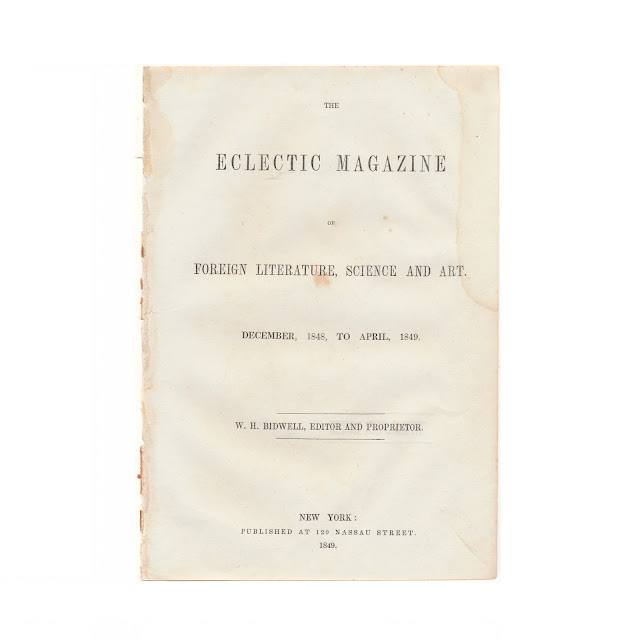 This 6" x 9" original antique print was recovered from bound volume of "The Eclectic Magazine of Foreign Literature, Science and Art." 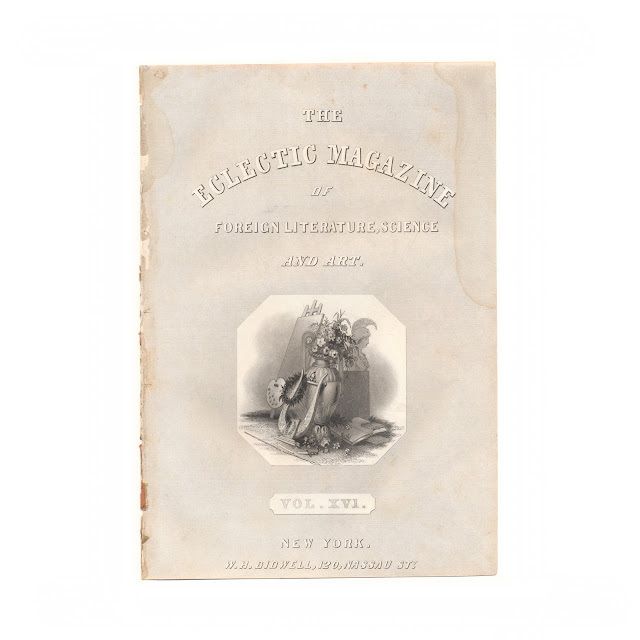 This issue is volume XVI from December 1848 to April 1849. 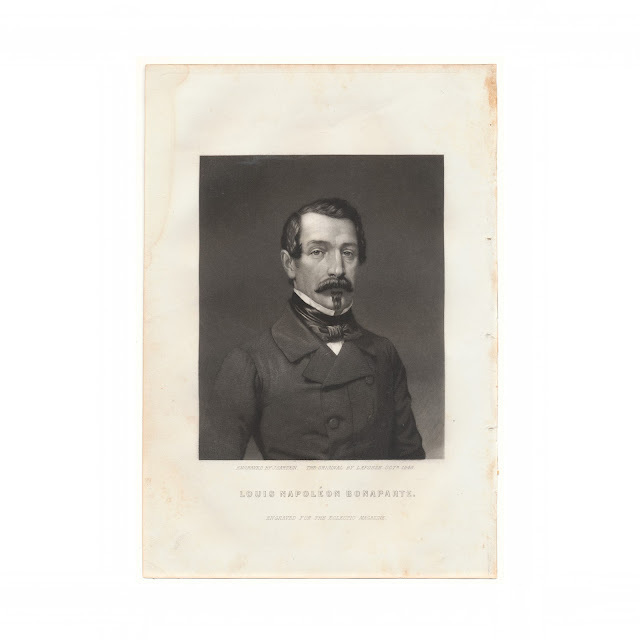 This engraving is a portrait of Louis-Napoléon Bonaparte from a painting by Lafosse. Paper shows some foxing and soil, stains to upper left and right portions of the margins.